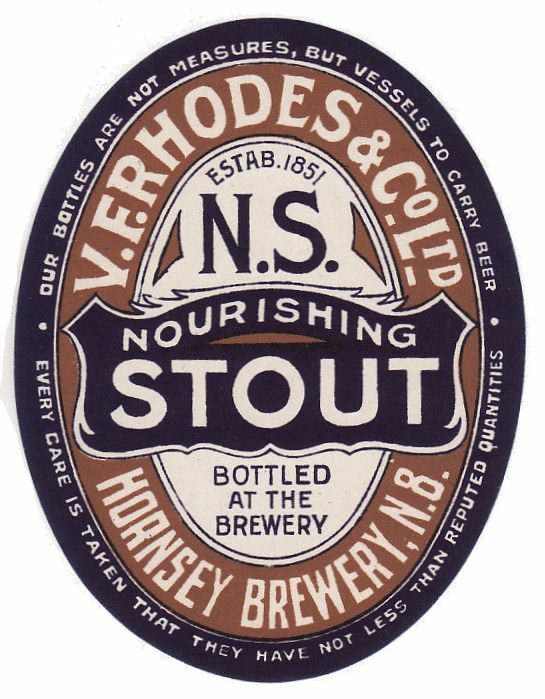 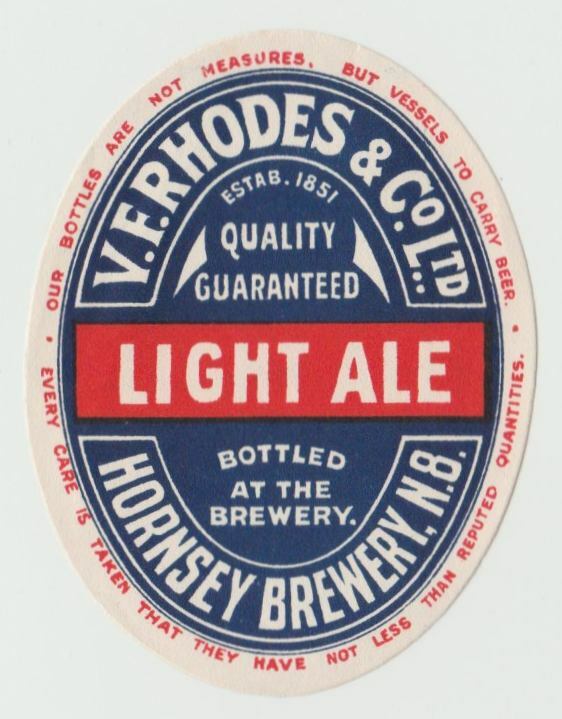 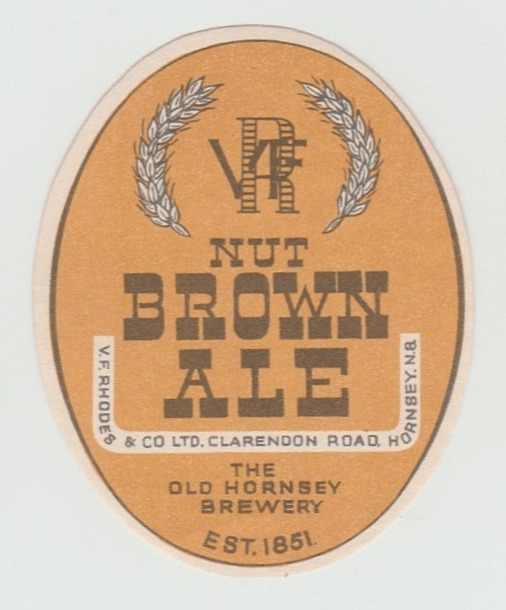 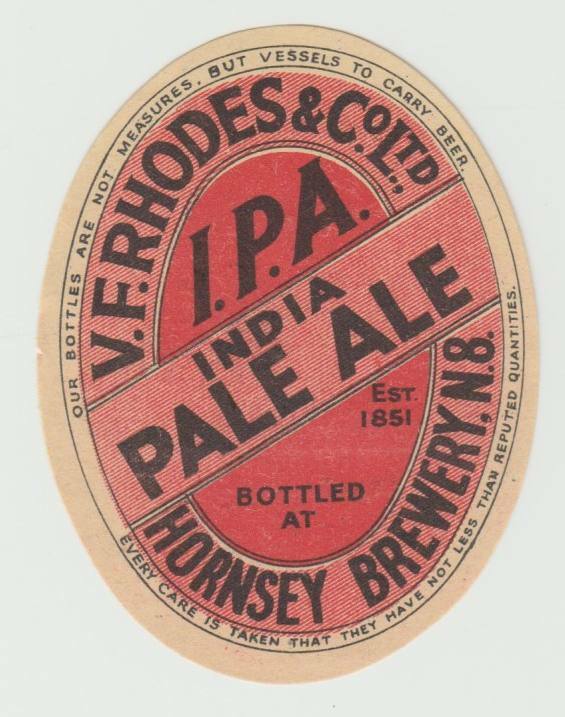 The Hornsey Brewery in Clarendon was owned by the Rhodes family at the later part of the 19th Century through to the 1950s. 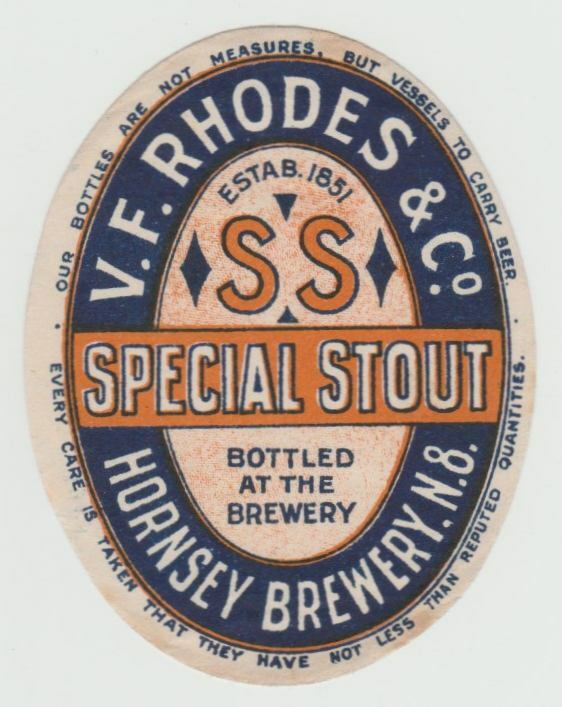 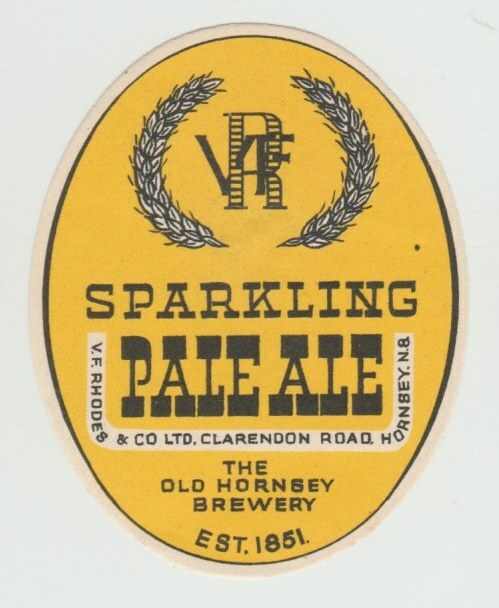 At times the brewery was run by members of the Rhodes family, and at other times it was probably leased out to other brewers, notably Alexander & Co in 1886 and Caffyn & Son from 1988 to 1920. 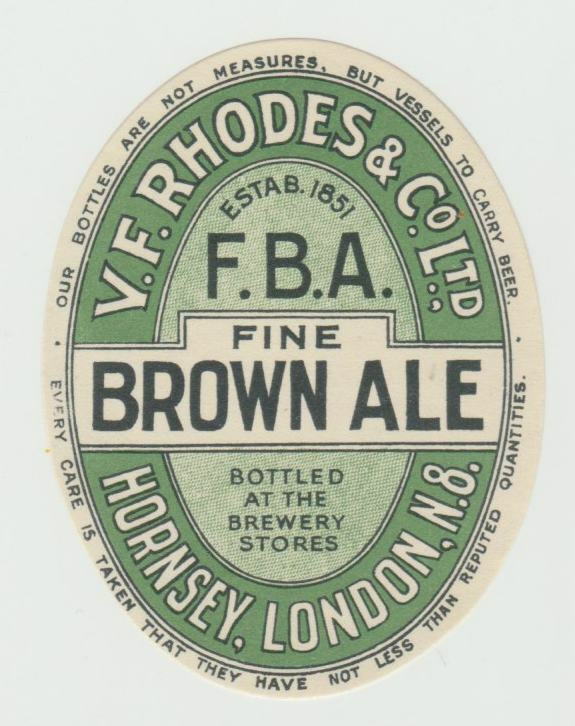 However from 1923 it was home to V, F. Rhodes & Co. 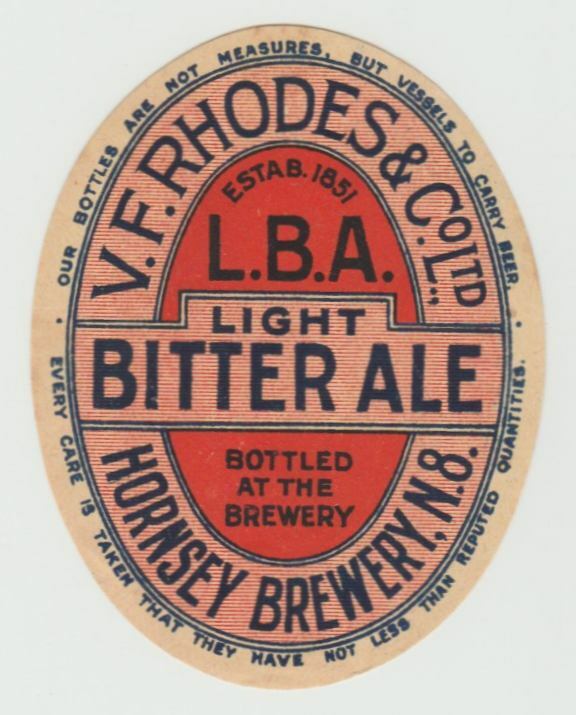 There has for some time been discussion as to whether brewing took place at all or just bottling. 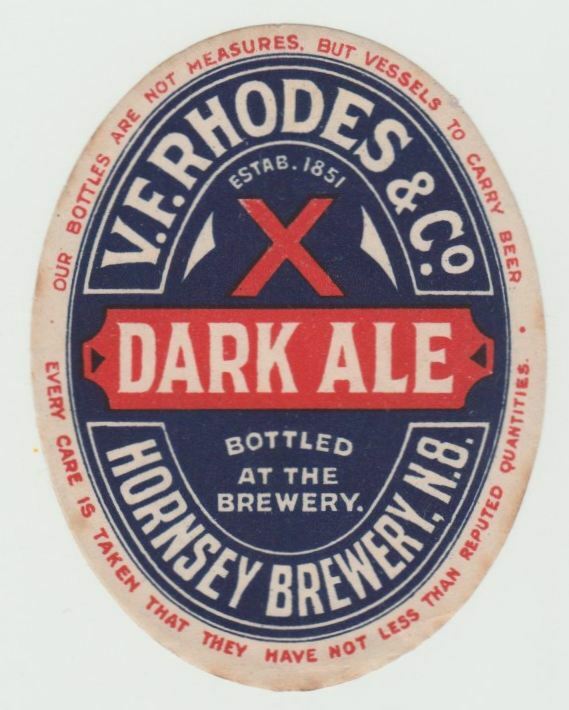 According to ‘A History of the County of Middlesex’, brewing may have continued until 1957, and from 1959 was solely a wine and spirits merchant and bottler. 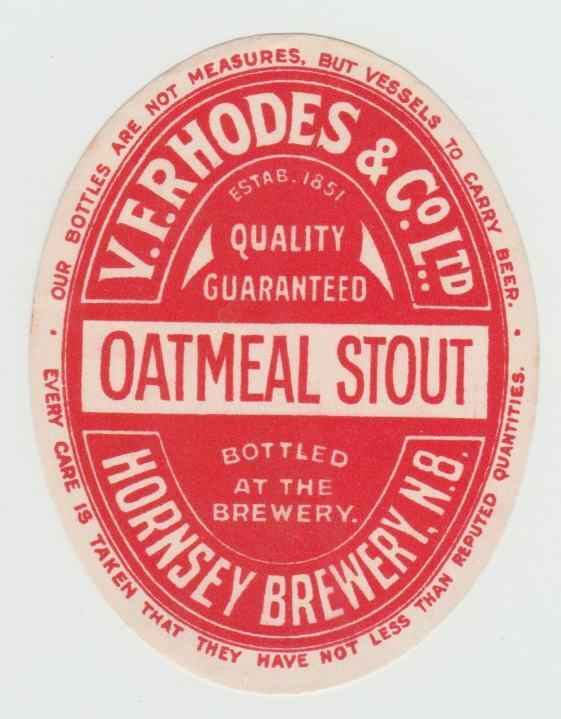 However, the 1949 Brewers’ Almanac lists only a bottler. 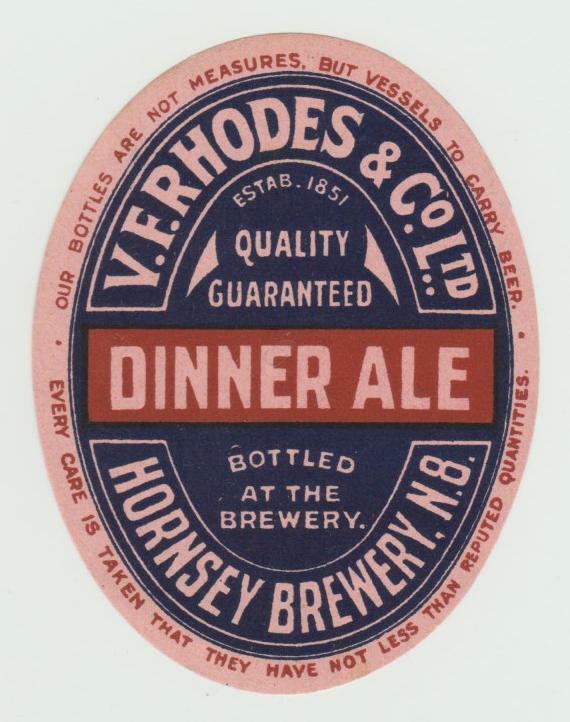 Whether a brewer or not the early labels are a very attractive part of any collection.